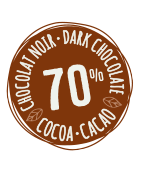 The generous flavour of 70% dark chocolate forms the luscious top note in this blend of dried cranberries, dark chocolate, almonds, hazelnuts, soybeans and ground coffee. The acidity of the cranberries and the bitterness of gently ground coffee awaken your taste buds. You’ll be back for more! With its generous dark chocolate and coffee powder, our Moka Moments blend is ideal for awakening your senses in the morning or providing a little kick in the afternoon. 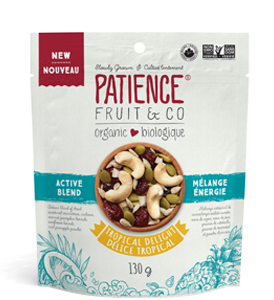 Halfway between a snack and dessert, this chocolaty mix will give you the boost you need. 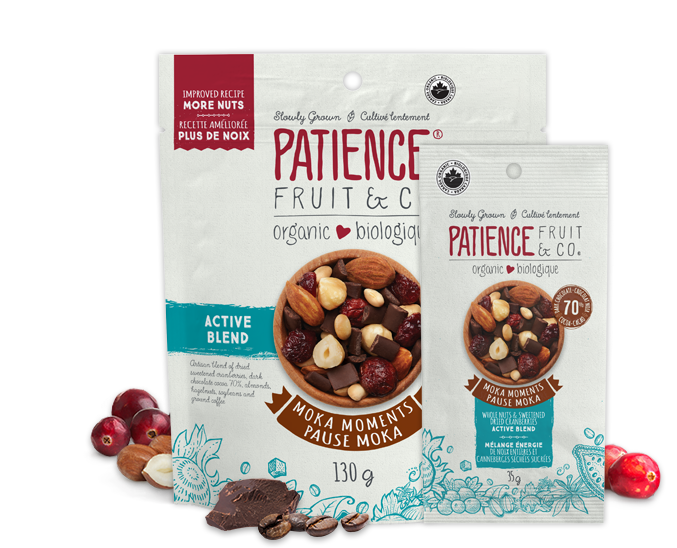 Polyphenols are naturally present in the cranberries, dark chocolate and coffee in this blend. 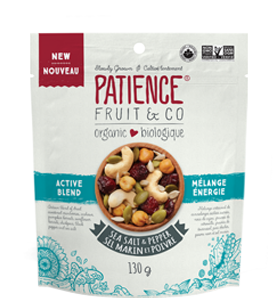 250mg of polyphenols per 50g serving or 175mg per 35g serving. Perfect just the way it comes, but how about trying it on ice cream, yogurt, or even your morning oatmeal? The handy new 35g size goes wherever you go!